Product code: R395 Categories: Antique, Antique Brooch. 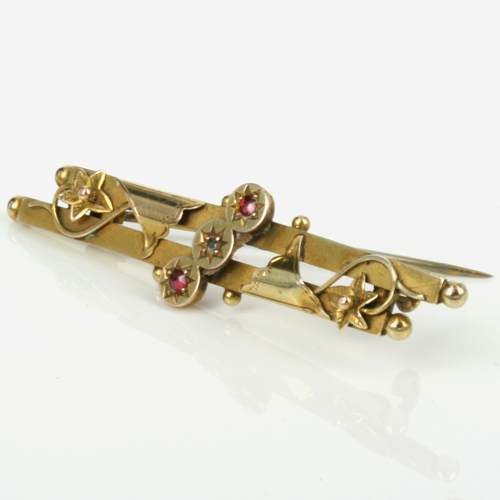 Dating from the Edwardian era of 1906, this antique ruby and diamond brooch is so charming and full of character and would look perfect being worn day or night. Measuring 56.8mm across by 13.8mm wide at the centre the brooch was made in 9ct gold in Chester. 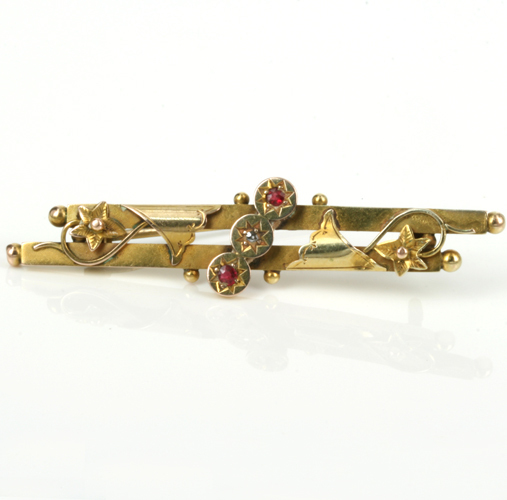 Set with two rubies and a diamond, the sparkle of the gemstones just lifts this brooch so elegantly and then there is the charming detail along the brooch. The way the gold folds over and the vine leaf pattern are used is a typical style of Edwardian jewellery. 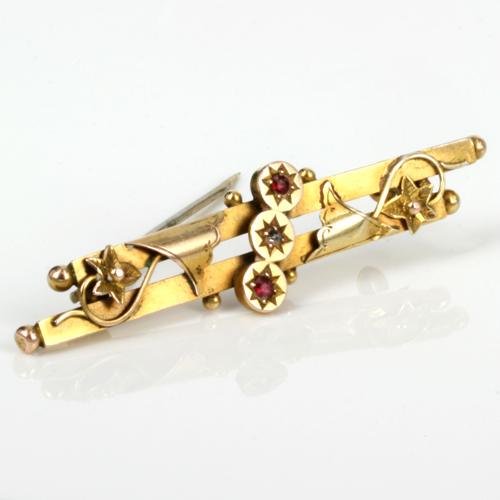 So elegant and sweet, this antique ruby and diamond brooch is just so traditional and lovely to admire.